There is much debate over whether or not new online casinos are better than more established sites. If you play on UK casino sites often, it is easy to be torn between the decision to try out a new site and benefit from new player bonuses or stay with your favourite casino and stick to loyalty promotions. This article will discuss the pros and cons of using new casino sites and how some new sites are actually older than they seem. Why Consider Playing a New Online Casino? Many new casinos are actually older than they appear in a sense. This doesn’t necessarily mean that they aren’t new, it just means that they may be owned by a company that already operates other UK casino sites. 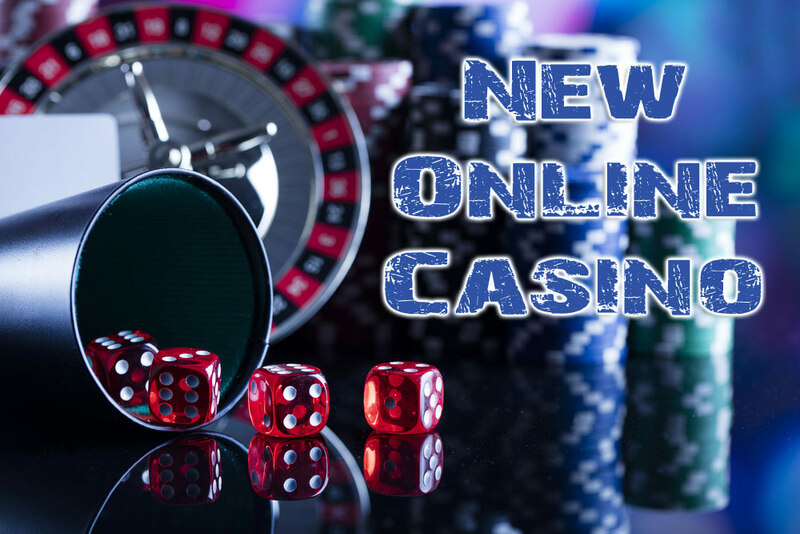 Some new casinos sites may also be older sites that have simply been rebranded or updated to be more appealing, to keep up with other new casinos that are bringing in more players. A new casino also means new bonuses, so signing up for a new site often means you will be able to benefit from new player sign up bonuses, which are often better than loyalty bonuses. 2018 is set to be a good year for online casinos, with many new casinos launching that offer new and improved experiences. It is evident that many casinos are now adopting the more personal approach when it comes to online gambling, creating personalised features, and focusing on community. As this approach is becoming more popular, many established casinos are now rebranding or updating to compete with other online casinos of this nature. Some new online casinos are brand new and not simply a rebranding, this may put off some players as it’s difficult to know whether the casino is trustworthy without a prior reputation. However, most new casinos are almost always operated by people that have a background in online gaming. Starting a casino online is a fairly expensive venture, operators have to pay large sums for game licenses and therefore, most online casinos are unlikely to be illegitimate. If you’re a player that enjoys regular loyalty bonuses or is saving up play points with your favourite casino, then switching to a new one probably isn’t in your best interest. However, it still might be worth trying a new site whilst also playing at your regular site, to take advantage of new player bonuses. In addition to this, new casinos are more likely to provide players with a more up-to-date gaming experience, with the latest games and features. Although many established casinos are now following the examples of new casinos, your favourite go-to casino site may take a while to catch up. Another con of some new online casinos is the lack of popular games that you may be used to from other more established sites. Some newer casinos may not have the most popular slot games due to limited funds as the licenses for these games can be very expensive. However, most new casino sites do strive to provide these games and if they don’t yet, then the chances are they will in the future. Casino Heroes 3 is a very modern and futuristic online casino that is inspiring many other casinos to follow their example. The casino offers players a more interactive and personal experience, which is what many new successful casinos are capitalising on. Players are able to create an avatar that moves through a virtual world based on their gameplay at the casino. The player’s avatar moves through different ‘islands’ and fights ‘bosses’ in order to win additional prizes and bonuses. Although Casino Heroes 3 was only launched in 2017 and could be considered a fairly new casino, the concept has actually existed since 2014. Casino Heroes 1 was introduced in 2014 and it has gone on to evolve into new versions. This is a good example of how a new casino may appear to be newer than it actually is. How do I Know Which New Casinos I can Trust? Although many new casinos like Casino Heroes 3 have previously operated under different names or been rebranded, there are some casinos that are brand new. Playing at a brand new casino can be fairly daunting for most people, but knowing what to look for can help you to identify a trustworthy casino. First of all, it’s a good idea to look online for reviews of the casino, if there aren’t any then this doesn’t mean the casino isn’t legitimate, it probably just means it’s very new. If this is the case, make sure to check that the casino is properly registered with the UK Gambling Commission, and displays all of the appropriate licences.